The ordinary people of any country – what Richard Nixon famously called the silent majority – hope for leaders with judgment and Fiji is no exception. All of which makes it extraordinary that a senior politician like Mick Beddoes has taken to taunting the military with the threat of life-long jail sentences in the current political environment. Beddoes – the solidly-built former opposition leader and president of the United People’s Party – was responding to comments by the military spokesman and land force commander, Colonel Mosese Tikoitoga, that politicians should be constructive rather than destructive in their criticisms of the military and the Bainimarama Government. No-one – least of all Grubsheet – is saying that the military is without fault. Indeed, many people question the wisdom of Colonel Tikoitoga taking part in any political discussion at all when his commander, Frank Bainimarama, is Prime Minister and ought to be doing the Government’s heavy lifting. But the response by Mick Beddoes was totally disproportionate – the verbal equivalent of an Exocet missile lobbed at the heart of the Queen Elizabeth Barracks. Beddoes said the military’s reaction smacked of increased anxiety as it contemplated the ultimate return of Fiji to its people. With it, he said, came the likely commencement of an independent judicial investigation into the events of December 2006 – the Bainimarama-led takeover. “Fronting up to a truly independent court to account for their part in the events of 2006 and the prospect of spending the rest of their natural life in prison without the possibility of parole would have an impact on any individual who may not be covered under any military immunity, but are perhaps relying on the promise of one”, Beddoes declared. Now you have to hand it to big Mick. To make such a statement so soon after the lifting of the emergency regulations and media censorship and 27 months out from any election requires a pretty thick hide. His small band of supporters – and let’s not kid ourselves, the UPP is tiny – will undoubtedly regard him as brave. But for anyone who values stability in Fiji, it smacks of a recklessness that is deeply worrying in a man who evidently aspires to national leadership again in the elections of 2014. Blind Freddy can see that the military is having trouble grappling with the idea of the people it removed at gunpoint five years ago regrouping for another tilt at leadership. Yet instead of adopting a posture of vaka malua– of cautiously probing the parameters and thinking of how best to get around the guys with the guns – Mick gets up and takes the equivalent of a Fiji-style late night drunken punch. It wasn’t clear from his comments precisely how he sees the entire military leadership being frog-marched down from the barracks, put before the courts, convicted and then sent to Naboro Prison to hang out for the rest of their lives with George Speight. So why say it? Was it a threat? That when he and his new mates, Laisenia Qarase and Mahendra Chaudhry, are swept back into office by a grateful nation that they will wreak judicial revenge on the impertinent Bainimarama and his cronies on the Military Council? Does Mick have a crystal ball over there in the West? Can he see the Three Amigos – Qarase, Chaudhry and himself – with their feet back up on the desks at Parliament House and their nemesis Voreqe in leg-irons in the prison teitei? In your dreams, bro. So why say it? OK, let’s examine potential motives. It may well be that Mick sees the best hope for his party in 2014 in tapping anti-regime sentiment and that’s fair enough. He’s been a party of one – himself – in any parliament up to now and became opposition leader mainly because no-one else wanted the job. Like everyone else, the UPP will have to be multiracial and broad-based. So maybe that’s Mick’s plan; to rally anyone who doesn’t like the military whether they’re i’taukei, Indo-Fijian or the old “others” – general electors – around his ample girth. 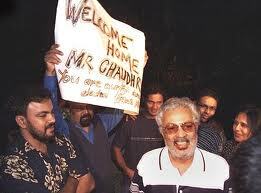 And especially anyone who can’t stomach the idea of Qarase and Chaudhry returning. There have also been clear signs in recent days that Mick is the attack dog of the Three Amigos – taking it upon himself to speak for Qarase and Chaudhry at a time when both may feel constrained by the prospect of legal action against them. All three – Qarase as head of the SDL, Chaudhry as head of the Labour Party and Mick as head of the UPP – are discussing a joint submission to the Constitutional Commission calling for the restoration of the abrogated 1997 Constitution. They know it won’t happen but they’re doing it anyway, which is also their right but smacks of a spoiling tactic rather than a long term viable plan. When Grubsheet wrote a piece – that also appeared in the Fiji Sun – describing any tie-up between the SDL and Labour as M.A.D – both deranged because of their previous poisonous relations and Mutually Assured Destruction because their supporters are so diametrically opposed – who went on the attack? Not the leaders of those two parties but good old Mick. He said I was the M.A.D one – as in “Manipulatively Anti Democratic” – and accused me of being biased in favour of an “oppressive” regime and even flouting the new media laws by not being fair, impartial and balanced. It was a legitimate opinion piece – not news – and clearly labeled as such but evidently only Mick is entitled to his opinion. In his response, he put forward the remarkable proposition that any tie-up between the SDL and Labour in Fiji is no different to those of the Labor Party and the Greens in Australia or the Conservatives and the Liberal Democrats in Britain. Politicians are renowned for their short memories but the electorate isn’t so stupid. Weren’t certain SDL ministers in Qarase’s governments the very people who plotted to remove Mahendra Chaudhry – the Labour prime minister – and kept him and his government hostage in the parliamentary complex for 56 days? Pardon me, Mick, but I don’t think that’s happened in Australia and the UK. It’s a nonsense and you know it. We’re just not as gullible as you remember us. No-one knows what the future holds when it comes to politics or the judiciary for that matter. But Fiji badly needs men and woman of goodwill, integrity and calm judgment in the lead-up to 2014 to give us the stable and prosperous future everyone craves and deserves. When they finally get to vote again, ordinary people will also be casting for fresh ideas and sensible policies, not the division and self serving politics of the past. 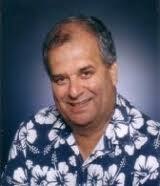 If Mick Beddoes wants to be considered for public office again, he badly needs to lift his game. Because by any standard, the comments he made about the military were a gratuitous provocation at a time when the nation needs cool heads, not little big guys with mouths that move faster than their brains. The three amigos could not see eye to eye when they were in power so it worries me how quickly they have became friends when they have no power. Politics surely make strange bedfellows. We have candidates for three stooges 2. Here you go again more hyperbole and confrontational western style journalism. Mick is telling it how it is. One of the big concerns for the senior officers of the RFMF is how they keep themselves out of Jail. They should be worried because there are a great many people blame the military the coup culture. 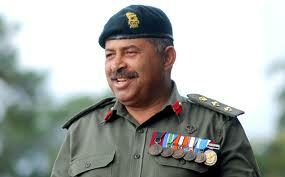 It is clear to everyone that without the military Fiji would not have had one coup let alone 4. We would also be a lot richer and more developed. They are caught between a rock and a hard place. They have to have an election otherwise they will have no credibility and even the likes of you, Graham, will stop supporting them. But they will not risk their future in an election and that is why their commander will be made President before any election takes place. Only by keeping control can they be sure a cell at Naboro does not await them. Good for Mick keeping the pressure on the military. Let’s see how they like it after putting the boot in on the people of Fiji for the past 6 years. “Mick is Mightier”, I invite you to read the previous posting -M.A.D – to see who is more confrontational. I didn’t even mention Mick in my original piece and he went on the attack against me. We’re both big boys and I’m sure we can take it. 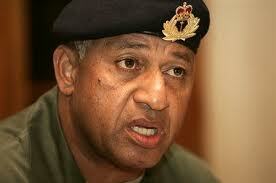 As for your scenario about Bainimarama as president, I simply don’t believe it. As I’ve said before, I think he has his eyes on being a democratically elected prime minister rather than becoming head of state. No one involved in the coup will be able to take part in the elections. Mick resemble none other than “GOLIATH”. Soon will be brought down by a small piece of stone(the truth) on a sling(the past) and destroyed by his own sword(word). What your namesake is doing is just plain old political grandstanding by a veteran politician. Just like a bamboo gun, too much sound. let’s start putting everybody on trial who were part of the first coup directly or indirectly and then the subsequent coups, that starting from rabuka and all the behind the seen culprits who rabuka can testify against for a pardon, than the GCC members who are still surviving and the Methodist church officials who endorsed the coups. When all this is finished than think about the 2006 coup. If everything has to be fair let’s start from the original coup which gave the confidence to other people to take over governments as the institutions not only pardons them but endorsed them and showers them with memberships and prestigious positions in society. You cannot talk about fairness or democracy if it’s only used when it suits people. These 3 should read the writing on the wall and take an exit while it is still possible. You got it 100%! Lets start from 1987 and sort out all the sordid characters involved. I note that on 1 Jan 2012 Rambo (once again) put out a public apology for his 1987 coup. But he conveniently chose not to name all those who sided with him! 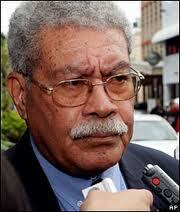 So Rabuka’s apology was not genuine. We need to start right from 1987 and sort out the maggots who are still with us, or who remain in governemt at the present time. I just want to ask you if Bainimarama prefers to be a democratically elected PM,which model would he be taking the Indonesian style or the Turkish style? Just to answer your question,: No, Bainimarama doesn’t prefer the Indonesian or the Turkish style. Those will be the models for Mr. Corrupt, Mr. KKK and Mr. Obese, with Mr. Mugabe as their political consultant. I think if you took a shower and freshened up a bit you will find that there is a process at work in Fiji which is called democratic.Don’t hang out wih these three goons for too long, their sickness is highly contagious. In the meantime take that shower I recommended. Peter,I have had a shower a million times but I don’t think that will stop my asking about clarification.I posted earlier on this blog that Fiji was following what Oliver Cromwell did back in England in the 15th century.Was that democratic? The reason I asked is that both Turkey and Indonesia follow democratic processes and governance albeit quite different.Both have very strong militaries and very strong economies even though Indonesia allows itself to be dictated to by Australia it remains to be seen what model will Fiji and Bainimarama will follow and will it last ? Bainimarama and Tikoitoga will just sit and watch because your namesake’s word will just beat the hell out of him. He just started to mock himself and the rest is history just like watching the three stooges. They are all just a laughing stock who make a fool of themselves with their own words. They try to point fingers but the other four fingers are pointing at them because they were all part of the coups in one way or another. Once upon a time when citizens of Fiji had no choice but to vote for certain candidates representing their racial community, people like Mick Beddoes had the cunning wit to manipulate the situation in his favour, knowing that all he had to do was to collect votes from people in his grouping who would vote for him – he didn’t have to do anything for them, but they would hope that by voting for him that one day he might do something worthwhile for them. So, where in most countries politicians have to work for or buy support, all Mick had to do was wait for the votes of his racial group to be counted and just like that he made his way to Parliament without a “thank you” or “KMA” to those who reluctantly but nevertheless cooperatively voted for him. Yes you sure are great in size Mick, but please prepare yourself for a greater blow to the ego when the people of Fiji go back to the polls and this time they will have a choice and this time I doubt it will include you! And Grubsheet since Mick has chosen to re-enter the public areana, please post a more recent off-the-peg picture the next time you take an interest in him! Old portrait pics just don’t project the real likeness of the person today. Sorry I notice that the flattering photo of Mick comes from the “UPP”. Who’s in the UPP today? You have hit the nail on the head, these three are scared as hell because votes are not guaranted along racial lines. The days of free votes are over. It seems to me it is the regime, that is running scared. A little bit of criticism and they are threatening the media organizations. The media coverage before the Constitution Consultations have even started is being manipulated by Khaiyum and Smith Johns. It will only get worse when the election campaigning begins and Khaiyum and Bainimarama are desperate to get into parliament. The dictator is obviously worried when the appalling performance of his regime is revealed in full he will only get a few votes from his cronies. At the end of the day voters are not really worried whether they are called ITaukei, Fijian or Indo Fijian. What they are really worried about is that their families are fed and they can send their kids to school. That is getting ever harder as more and more people are forced into poverty. The cause of the downfall of an economy are people like you who are good just to criticize but not constructive. Open your eyes and look around the world, Fiji is much better of. People are forced into poverty because of laziness and unproductive attitude. They live on handouts mentality from previous corrupt politicians and government who are self-serving and they blame others for their suffering but the true cause of it is them and you are one of them. Just like your namesake. with so much productive land remaining idle in Fiji, how can there so much poverty? I cant understand some landowners leaving their rural homes with its quality of life, to go live in tin squatter shacks in the mangroves along Tamavua river etc. Fiji can be the jewel of the pacific if people start working hard. It’s true there is tons of idle land which can be used. There are tons of coast areas where more resorts ca be built . A thing called Eco tourism can generate lot of employment as that’s the new craze for people wanting to do a digital detox and finally the most important thing WATER . Fiji has abundance. Look at Israel, they use drip technology to farm in deserts bacause lack of water, Dubai is buying massive agricultural lands in Australia bigger than there country. Why?, because next century is about food and fresh water with the rise of global population. Fiji is just couple of hours from aus/nz. Thing about about the markets they have if they play their cards right. Stop complaint and give some certainity to land rights and usage, work hard as there is no short cuts. Good life and standard of loving will improve.